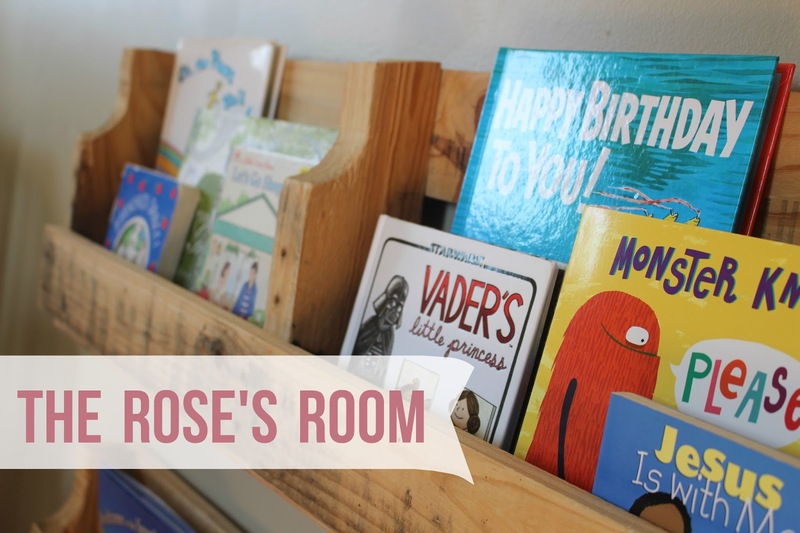 This weekend we finally finished The Rose's room. It's been a long time coming, since we moved into our rental at the end of September. Her room was the last room of the house to get finished. Now that it is put together we feel more settled and complete. I'm also so glad to have it finished because I feel like it is a much better reflection of her personality. We kept the same pieces from her original nursery at the old Swift Abode (bless that home) but added some things (and removed some things) that better suite a toddler. One of the things I am most excited about (but isn't pictured yet) is The Rose's art and craft station. We took off the closet doors (don't worry, they're removable) and are in the process of converting her closet into a art, craft and toy area. Right now everything is in plastic bins and my favorite ikea cart but for Christmas The Rose is getting THIS (shhhh! it's a secret!) and we're hoping with some Christmas money to get her a toy organizer that's a little more permanent. Another thing we'd like to add to the room eventually is a nice big rug, maybe like this one, but we'll have to wait on some Christmas money for that one, too! So, that's The Rose's Room! It's not perfect but it's good enough for now... because aren't we all like that?! Happy Monday, friends!